Think. Feel. Immerse in the Ideas of Time. Our task for today is to sell a pencil. Customers are basically selfish (and nothing wrong with that). They want focus on themselves. The reality is that the customers give not much importance to the products; but to what the products would make them feel. Take a look at any of the award winning designs and you’ll realize that all of them make the customers feel special and paid attention to. Take all of the above and there is 100% chance that your communicative design will definitely work! How to go about with this ‘Backward Design’ process? I’ll briefly enumerate the process of actually creating the brand positioning and brand experiences by taking the last step first. This makes the outcome attain better syncing capabilities between the brand and the customers. As mentioned earlier the focus is the end-user, so the target demographics have to be studied thoroughly before we jump on the product features. Just keep the product in mind and then research on the target audience it will connect to. Don’t focus on the nitty-gritty of the product’s features/functions/capabilities. Once the outcomes are stated; go on to develop rich ideas and concepts and draw out one or two to develop further into design. Create teasers and prototype of the communicative design and show it to your client before the final creation. Once your client gives a go ahead; make the final design adding all the necessary finishing touches before it goes into the production phase. It isn’t easy to go through the ‘Backward Design’ process all of a sudden but yes, it makes the design process smoother and more refined. You’ll have to fine-tune and sharpen your skills to ensure that this is done at the team level. At BRIM we do all this with the help of pencil – researching on the target demographics while researching on the net and writing important points on sticky notes; brainstorming the outcomes together and erasing them off if they don’t fit; making sketches and concepts while articulating the entire idea in the mind and then we hit the computer to give it the digital avatar it deserves. 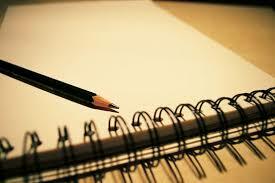 Yeah, pen is commonly used but it’s the pencil which is our companion – to Write. Erase. Ideate. A fantastic take on Pencil Day – This advertising agency has written this out quite well! Previous Previous post: What makes fashion brands tick? Next Next post: YOUR VENTURE NOT UPTO SCRATCH? How Gym Members take ownership of​ “New Avatar” ?? YOUR VENTURE NOT UPTO SCRATCH? What makes fashion brands tick? Language is Human. Creativity is Expression.